There'd been rumblings for a few weeks that things weren't quite right with the ESPN2 outdoor blocks, but today's news that the ESPN network would dump all its outdoor programming at the end of this year was nonetheless a shock to the entire outdoors industry. And with the news comes logical speculation over the future of BASS, which the network owns. It'll be weeks or months until the full ramifications of the news materialize, but clearly, the unstable world of outdoor media was dealt another serious blow today. of outdoor programming. It grew from the first broadcast of The Fishin' Hole in 1980 to encompass a wide array of fresh- and saltwater fishing, as well as hunting varietals. The Fishin' Hole, although now off the air, is still the second-longest running show ever aired on ESPN networks, bested only by SportsCenter. ESPN offered outdoor programming for 30 years as it grew from genre pioneer to powerhouse. It brought an integrity and worldwide reach to the genre that had never been there before. The network giant even formed a separate ESPN Outdoors division to focus on the market and in 2005, aggressively branched into competitive bass programming with shows like Loudmouth Bass, BassCenter, Bass Tech and same-day coverage of Bassmaster Majors. Although those shows went by the wayside after a short run, ESPN did continue with BASS-centric programming like Day on the Lake. But as the network proceeds with a core mission to focus on live and event-based broadcasting, such programming is out the window. The weekend block will now be filled by other properties, such as English Premier League soccer, NASCAR and SportsCenter, which are all either live or event-based programs. Thus the only show in the current outdoor block that will continue to air on ESPN2 is The Bassmasters, which focuses on Elite Series events, as well as Bassmaster Classic programming. The ESPN-owned Saltwater Series will not air on ESPN2. The news does revive rumors that ESPN is actively engaged in an effort to sell BASS. 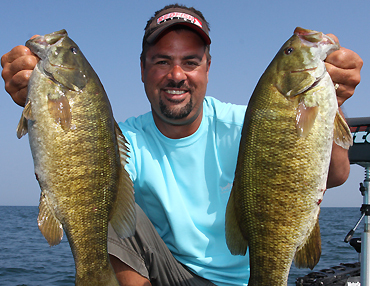 Earlier this spring, there was significant talk about a potential sale of BASS to the Outdoor Channel. No confirmed news surfaced, but highly placed industry officials firmly believed that talks between the two companies did take place. If ESPN is divesting itself of outdoor programming, that would seem to indicate that its interest in BASS lies only within a potential to broadcast BASS events. BASS's membership program, print media, or youth, conservation and grassroots programs would not seem to fit into that equation. 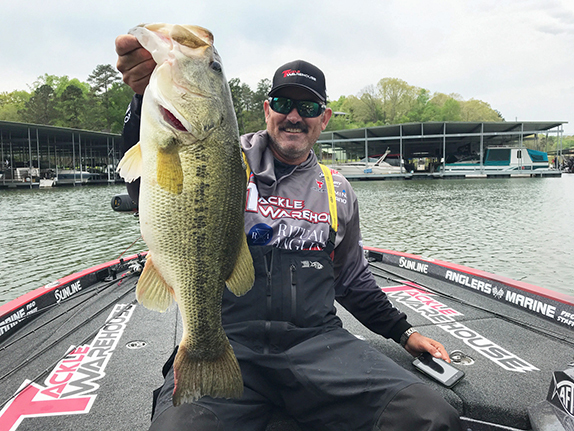 And sale chatter did noticeably intensify today, with many industry sources noting that BASS and the Outdoor Channel are deep in talks, but that BASS's print business is something the Outdoor Channel might not be willing to invest in. A BASS official addressed the rumors of a potential BASS sale by saying: "There's nothing there to announce right now. As with any business, the potential for a sale exists. It's a coveted property. People are looking into it. But again, there's nothing to announce there." ESPN's decision to dump its outdoor programming parallels decisions being made across media as a whole. A half-decade ago, ESPN aggressively expanded its bass-fishing programming with shows like Loudmouth Bass and BassCenter. The trend today is toward niche production and delivery � channels, magazines and digital properties narrowly tailored to fit a specific fan or enthusiast base. Just as cornerstone outdoor periodicals find it more and more difficult to profit through appeal to a wide reader base of different types of hunters and anglers, it appears ESPN struggles to capture and hold a profitable chunk of outdoor-viewer households � even after the network's programming shifted to a heavy focus on saltwater fishing at the expense of freshwater. Cable television now is rife with niche channels dedicated to the outdoors, including Sportsman Channel, Outdoor Channel, World Fishing Network (WFN) and Pursuit. As well, the Versus Network carries a heavy load of outdoor programming, including carriage of FLW Outdoors programming. 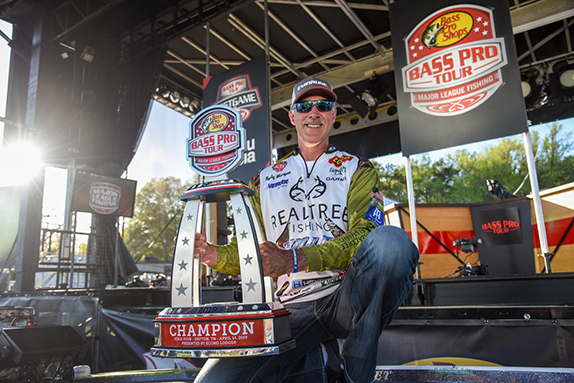 Sportsman channel president Willy Burkhardt, formerly of ESPN, today told BassFan: "This announcement isn't much of a surprise as it's been evident for quite some time that outdoor-related programming really doesn't fit comfortably with the strategy and brand position of ESPN. Serving the information and entertainment needs of the American sportsmen is about celebrating a lifestyle and a way of life rather than covering an event or competition." Burkhardt added: "At Sportsman Channel, we believe passionately in the sportsman lifestyle and our programming strategy and brand position reflect this. It makes sense to us that sportsmen have been gravitating to channels and brands that reflect a commitment to the lifestyle rather than a broader sports-entertainment orientation. It's our authenticity and commitment to the genre that has helped us to grow rapidly over the last several years and we hope that this trajectory will continue as we seek better and deeper ways to serve the community." The strength of ESPN's outdoor programming, however, will heavily impact those who produce shows for the other networks, and will further escalate the already desperate struggle for underwriting. Supporting manufacturers regularly buy into shows on various networks to ensure their message reaches the widest audience possible. But as the former ESPN shows find new homes on existing networks, supporting sponsors will surely eliminate duplication. How many shows on a single network will a Mercury, Evinrude or Yamaha sponsor? RealTree, Pure Fishing, Rapala, Skeeter, Triton, Ranger and other corporate giants will no doubt re-examine their show portfolios this fall and many shows already on the edge will be left without category sponsors and hence lose their profitability. It all signals an intensification of the shakeout as cable networks, fishing leagues, pros, magazines and digital properties all battle for their chunk of a shrinking revenue stream. And as that stream shrinks, the do-all-for-everybody media properties struggle the most. The news is still too fresh for concrete information about which shows will land where, although it's certain that show producers such as Career Sports & Entertainment, where the former JM Associates now resides, are actively speaking with networks about a future home for their shows. And networks are equally certain to be in internal talks about which shows to approach. Corey Russell, VP of programming and production at WFN, wasn't surprised by the news either, and again noted the trend toward niche programming. Mark Zona will remain a co-host and analyst for BASS programming, but his personal show will air on a new network in 2011. 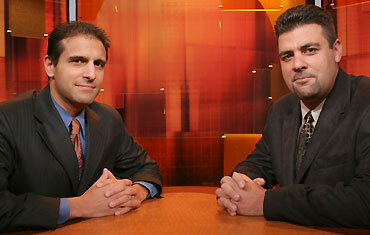 WFN does rebroadcast some existing ESPN programming, notably Poveromo's World of Saltwater Fishing. The network currently broadcasts an 80/20 mix of original/rebroadcast content. "We already have George Poveromo appearing on WFN, and we'd hope that we could further strengthen that relationship," Russell said. "We had a relationship with Charlie Moore in the past, and we'd definitely be open to working with him in the future. As for the other shows, we'd love to talk to them and it would be great to add some of that quality programming to the network." 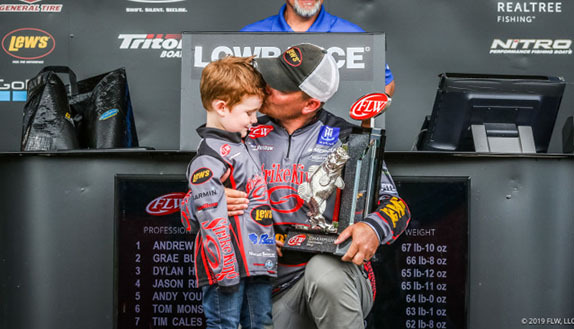 When Mark Zona received the news, he was disappointed, but he's also optimistic about the future of his show, which on ESPN2 is titled World's Greatest Fishing Show. And because ESPN2 will still broadcast The Bassmasters and the Classic, Zona will continue to serve in his co-host and analyst role, but he'll no longer be exclusive to the network. Zona's not ready to announce where his show will air in 2011, but he did say it'll have a new title, as ESPN owns the World's Greatest Fishing Show name. "It's been awesome shooting my fishing show for that network and this news is bittersweet," Zona said. "I'm bummed to be leaving, but I'm terribly excited to start something new. In no way, shape or form do I have any ill feelings. Yes I'm bummed, but I'm still excited to be 50% with the ESPN family and BASS, and I'm jacked up to be finding a new home for my show." > Outdoor Channel and Versus Network did not respond with comment before publication of this story. > According to the same BASS official, ESPNOutdoors.com will still function, and BASS weigh-ins will still be shown on ESPN3.